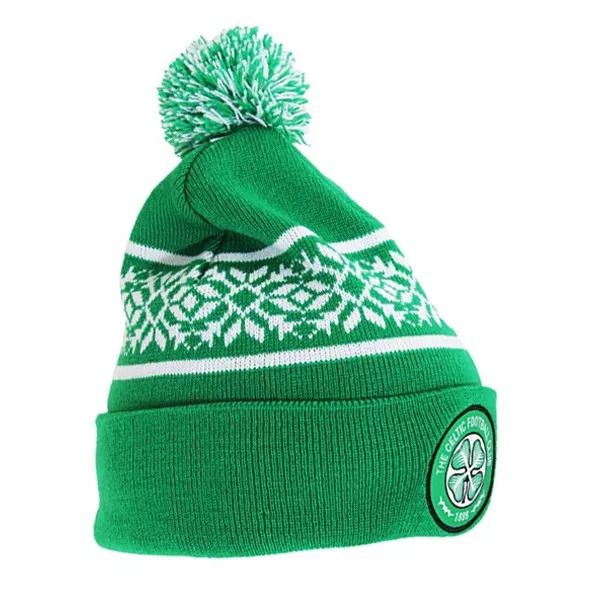 This Celtic Snowflake Cuff Knitted Hat comes in green colour. It is a knitted hat and made of 100% Acrylic. It features club crest on the cuff with snow flake pattern design. It is one size fits all hat. It makes a great gift for any Celtic fan.